class="post-template-default single single-post postid-378312 single-format-standard custom-background group-blog header-image full-width singular wpb-js-composer js-comp-ver-5.7 vc_responsive"
A ribbon cutting ceremony was held Thursday morning for the new Donald E. Nielsen Career and Technical Training Facility in West Point. Dr. Michael Chipps, President of Northeast Community College, says the new facility will allow students to train for 4 hours a day. Dr. Chipps says college training will be provided around the 10-2 time frame Monday-Friday and on weekends for Northeast and Wayne State. There’s also the Center for Enterprise, the customized training for current employers and their employees. There will also be Advocational Recreational Training and Education for anyone wanting to take anything from how to use a better camera to how to do art, according to Dr. Chipps. West Point Mayor Bruce Schlecht says the new facility is really meaningful for area schools and businesses. Schlecht says the new facility means a lot to the city of West Point and thinks other cities will think they need something like it too. 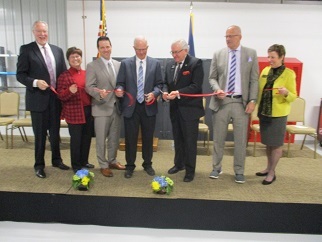 The City of West Point has worked with Northeast Community College, Wayne State College and the Pathways to Tomorrow (P2T) high school consortium to offer classes in the facility. Programming in the new center will focus on areas that include building construction, manufacturing and welding. Computer and health science classes will be held in the Shirley and Jake Weber wing of the Nielsen Community Center. 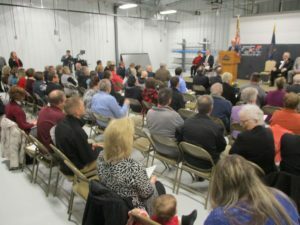 The new 16,000 square foot facility is the result of a Memorandum of Understanding between the City of West Point and the education partners that is designed to provide opportunities for career and technical education. The collaborative effort among the educational entities in the endeavor is focused on establishing unique career pathways for students in various fields, resulting in access to career and technical education that is not available in the eight school districts in the Pathways 2 Tomorrow consortium. Peitzmeier credited the partners for creating the unique education model. Members of the P2T consortium include Bancroft-Rosalie, Emerson-Hubbard, Howells-Dodge, Lyons-Decatur Northeast, Oakland-Craig, Pender, West Point-Beemer and Wisner-Pilger. Due to the participation of West Point-Beemer, Peitzmeier said P2T is also able to offer programs to Guardian Angels Central Catholic in West Point. Judith Scherer Connealy, director of continuing education and outreach at Wayne State College, also spoke of the concerted effort to establish the center. 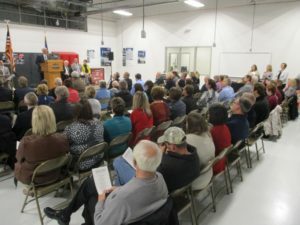 Individuals representing area philanthropic organizations in the West Point region said they are proud to be part of the initiative to help finance the construction of the facility. 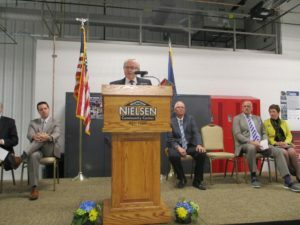 Clarence Mock, president of the Donald E. Nielsen Foundation, gave credit to the people who brought the idea to reality. He said the center will allow more people to enjoy in the satisfaction of having engaged in the “dignity of work” that will, in turn, be beneficial to the entire region. Nadine Hagedorn, secretary of the board the Henry A. Stalp and Ramona F. Stalp Foundation, said the foundation is dedicated to the promotion of all education for everyone in Cuming County. “We focus on making a difference to the lives of those in Cuming County who desire to further their education. The Stalps’ mission is well portrayed in this facility,” she said. Jason Smith, president of the West Point Community Foundation, said based on the workforce challenges that continue to face the state, the partners determined that the time was right to invest in the community, its residents, and the future. Others said it is a model that could replicated wherever the need exists. 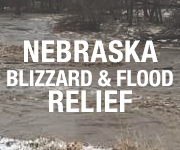 “We truly believe that our model is innovative and will be a model for small, rural communities, not only in Nebraska, but nationally, to follow,” Peitzmeier said. 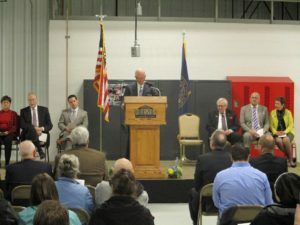 “This is an example of a premium setting that provides premium education in order to have premium jobs,” Chipps said.